With our spacious experience and in-depth knowledge, we are engaged in offering a wide array of Slot Chain Conveyor. Our offered range is available in various specifications as per client’s preferences. Manufactured using topmost grade raw material and advanced technology, these products are highly appreciated across the country. In addition to this, these products are used in various light, medium & heavy duty industries and are available at industry leading prices. 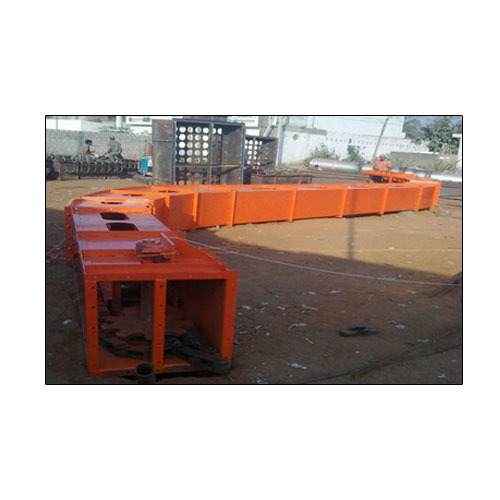 Established in the year 2012, in Hyderabad (Telangana, India), we “GGM Energy Ventures Private Limited” are a prominent manufacturer, traderand supplier of superior quality range of Coal Crusher, Slat Chain Conveyor, Slot Chain Conveyor, Heating Coils, Screw Conveyor, Spray Nozzle, Coal Crushing Plant, Belt Conveyors, etc. These products are highly demanded in the market for their features like durability, high performance, easy to operate, long service life and low maintenance. In order to manufacture these products, our experts use high quality raw material and latest technology in accordance with set industry standard. GGM Energy Ventures Private Limited is a Techno commercially sound Organization, is established and managed by experts of various sectors like Power, Process and Bulk Conveying, for Design and Supply of the best equipments in the above said sectors. Our team having the vast experience in Design, Fabrication and Commissioning of the Belt Conveyors, Elevators and Chain conveyors and got good track record from the clients.